I hate spam as much as you do. That’s why your information will never be rented, traded or sold. Accountability: We educate, support and guide you every step of the way, applying just the right amount of pressure to make sure you follow through! 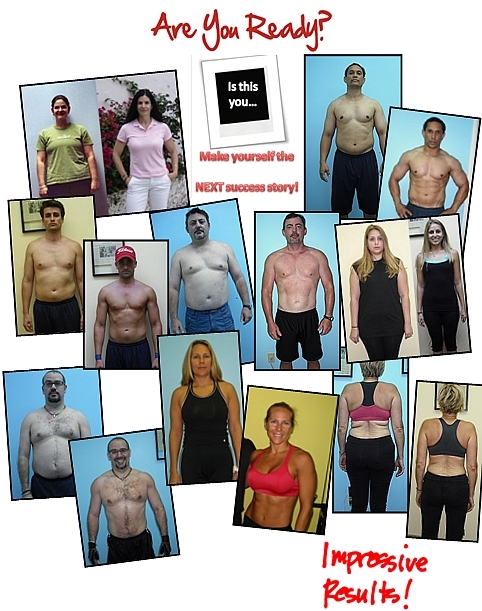 Track Record: We’ve helped almost 1,000 other folks successfully lose weight, look great and feel like a million bucks. Follow our system and you’ll get the same! Motivation: We know how to get you going FAST and keep you going, so the results come quickly! Structure & Consistency: Let’s face it, this is where the breakdown almost always occurs. We keep you on track, moving forward, so you see and feel the results quickly. Customization: Your program is created for YOU, based on what YOU need, ensuring you reach your goals quickly and with 100% certainty!